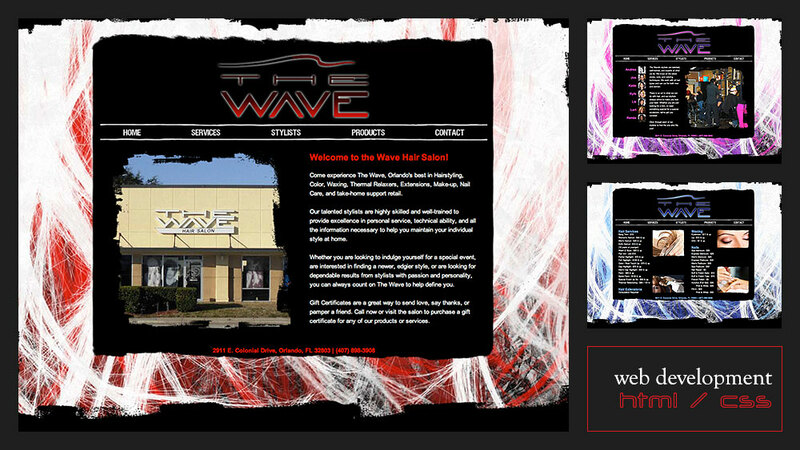 The Wave Hair Salon solicited us to update their website and provide a more edgy and modern look for their content. Because much of their business is about color, it was important to bring as much color as possible into the overall design. NOTE: The site represented here is an archived copy. The original was never launched as the client went out of business.